India Llogs 7 Percent Growth In First Quarter. 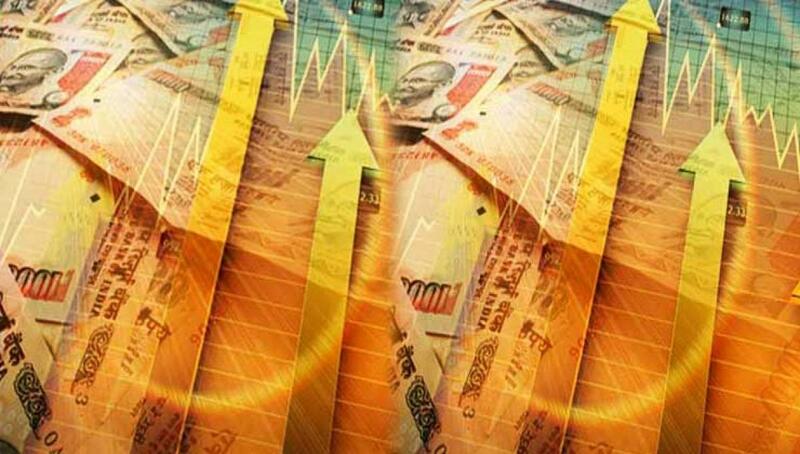 The Indian economy grew 7 percent in the first quarter of this fiscal, showing signs of slowing vis-a-vis the 7.5 percent ..
New Delhi: The Indian economy grew 7 percent in the first quarter of this fiscal, showing signs of slowing vis-a-vis the 7.5 percent expansion in the quarter before. But the growth was much higher than 6.7 percent registered in the first quarter of the last fiscal. As per official data on gross domestic product (GDP) released by the Central Statistics Office (CSO) under the Ministry of Statistics and Programme Implementation, showed that the growth of 7 percent was led mainly by expansion in commercial and financial services and manufacturing output. GDP which is the aggregate market value of all the goods and services produced in the country, had expanded by 6.7 percent in the corresponding quarter of last fiscal. "GDP at constant (2011-12) prices in Q1 of 2015-16 is estimated at Rs.27.13 lakh crore, as against Rs.25.35 lakh crore in Q1 of 2014-15, showing a growth rate of 7.00 percent," the CSO was quoted in a statement. "Quarterly GVA (gross value added) at constant (2011-2012) prices for Q1 of 2015-16 is estimated at Rs.25.80 lakh crore, as against Rs.24.10 lakh crore in Q1 of 2014-15, showing a growth rate of 7.1 per cent over the corresponding quarter of previous year," the statement said. The GVA which is a gauge to measure the value of goods and services produced in a particular sector or a grouping of industries had stood at 7.4 percent in the corresponding quarter of last fiscal. The commercial services segment which includes trade, hotel, transport, communication and services related to broadcasting expanded the fastest in the quarter under review at 12.8-percent from 12.1 percent in the Q1 of last fiscal. The financial services sector which comprises of industries like financing, insurance, real estate and professional services grew by 8.9 percent from 9.3 percent in the corresponding quarter of 2014-15. Manufacturing output rose by healthy 7.2 percent from 8.4 percent in the first quarter of last fiscal. However, the farm sector expanded by 1.9 percent, below the overall growth rate, and so did the mining industry (by 4 percent), energy by (3.2 percent) and construction (by 6.9 percent), and social and defence services (by 2.7 percent).